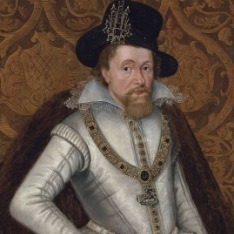 The first abortive attempt to found the College takes place on the occasion of a visit to Edinburgh by the then reigning monarch James VI of Scotland (I of England). Although supported by the King, this move is opposed by the Bishops of the Church. 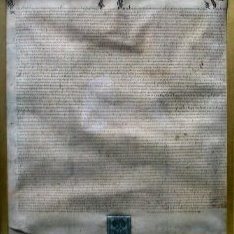 A charter is granted by Charles II for the establishment of the College following decades of petitioning by its founders, particularly Robert Sibbald, physician, botanist and Geographer Royal. Robert Sibbald donates a collection of books to the College, forming the foundation of the College’s library. The College resolves to appoint fellows to visit the sick poor of the city in their homes and treat them free of charge. 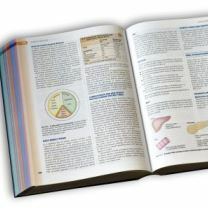 The College publishes its first Pharmacopoeia, a guide for physicians and pharmacists which standardises medical treatments and recipes. 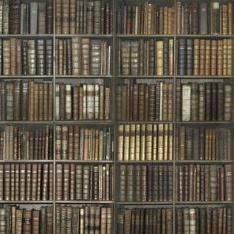 14 editions go on to be published over the next 150 years. 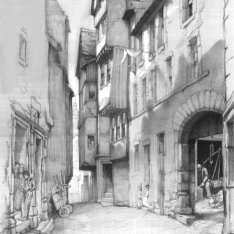 The College establishes its first meeting house in Fountain Close, in Edinburgh’s Old Town. 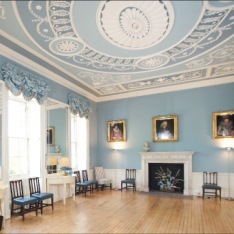 A dispensary is established in the College Hall, where medicine and advice are provided to Edinburgh’s poor. 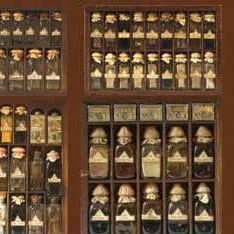 The dispensary is closed in the mid eighteenth century when its work is taken over by the city’s infirmary. The ‘little house’ hospital is established in rented premises at the head of Robertson Close, financed by a College appeal. 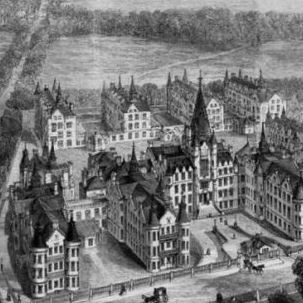 Initially staffed by College Fellows, this goes on to become the Royal Infirmary of Edinburgh, Scotland’s first public hospital. 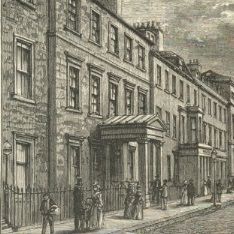 The College moves to a purpose-built hall on George Street, in Edinburgh’s New Town. 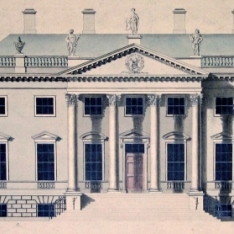 The hall’s architect is James Craig, who was also responsible for designing the layout and many of the buildings in the New Town. The foundation stone is laid for the College’s new premises, on Queen Street, where it still resides today. The architect of the new hall, Thomas Hamilton, is also responsible for the Royal High School, on Calton Hill, and Edinburgh’s Dean Gallery. The College expands its premises, purchasing 8 Queen Street. This is the oldest building on the street, having been designed by the architect Robert Adam in the early 1770s for Lord Chief Baron Ord. 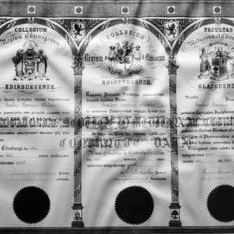 The Triple Qualification agreement comes into operation. This allows the College to examine physicians and grant their Licence to practice jointly with the Royal College of Physicians and Surgeons of Glasgow and the Royal College of Surgeons of Edinburgh. The College establishes a laboratory, to both carry out original medical research and to offer a free diagnostic service for physicians. Receiving specimens from all over the globe, including Hong Kong, Cairo and Kansas, by 1948 the College is testing over 30,000 samples a year. The laboratory is closed in 1950, as a result of the establishment of the UK’s National Health Service. 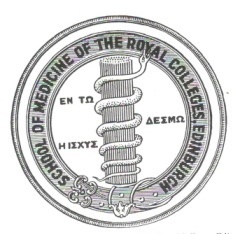 The Extra-Mural School of Medicine is established by the College, in collaboration with the Royal College of Surgeons of Edinburgh. The purpose of the school is to formalise the medical education taking place outside the city’s university, granting licences to teach to approved lecturers. In 1948 the school is closed, its work being absorbed into that of the University of Edinburgh. A new Charter is authorised, allowing women to become Fellows and Members of the College. 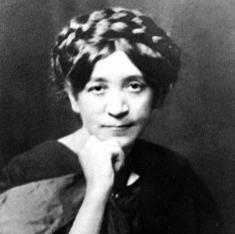 Dr Ella Pringle goes on to be the first woman Member in 1925 and first woman Fellow in 1929. Sir John Crofton is appointed Chair of Respiratory Diseases and Tuberculosis at the University of Edinburgh. 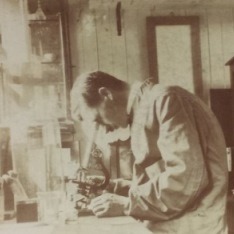 Over the next few years Sir John leads the team which pioneers the development of the combined treatment and cure for tuberculosis known as the Edinburgh Method. 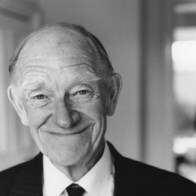 Sir John later becomes President of the College from 1973-76. 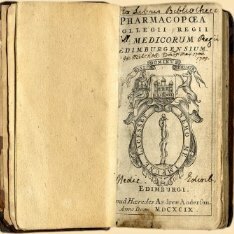 The first edition of Davidson’s Principles and Practices of Medicine is published. Its author, Sir Stanley Davidson, goes on to be President of the College from 1953-57. 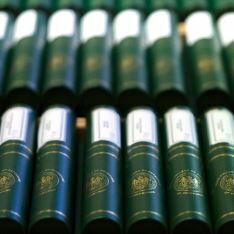 The MRCP (Membership of the Royal Colleges of Physicians of the United Kingdom) is introduced. This is a postgraduate medical diploma jointly administered by this College, the Royal College of Physicians and Surgeons of Glasgow and the Royal College of Physicians of London. Those who pass the assessment are able to become members of any of these colleges. 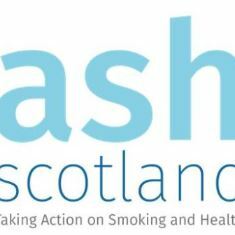 Action on Smoking and Health (ASH) Scotland is founded. The College is a lead participant in its establishment. 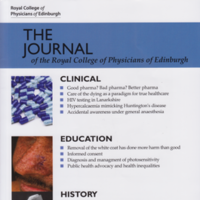 The first issue of the Proceedings of the Royal College of Physicians of Edinburgh is published. 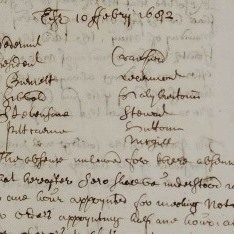 This goes on to become The Journal of the Royal College of Physicians of Edinburgh. 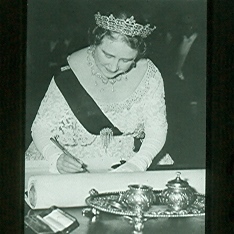 Queen Elizabeth, the Queen Mother, opens the College's conference centre, one of the largest purpose-built lecture theatres in Edinburgh. The Queen Mother Conference Centre hosts many of the College's educational medical events as well as conferences and public lectures. 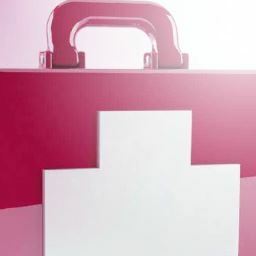 The Scottish Intercollegiate Guidelines Network (SIGN) is established by the Academy of Medical Royal Colleges in Scotland. 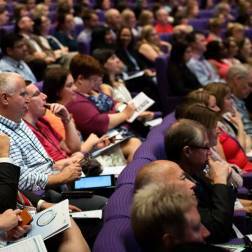 The College is a lead participant in its establishment and hosts the SIGN Secretariat until its merger into NHS Quality Improvement Scotland in 2004. Professor Jim Petrie, the Founding Chair of SIGN, is also President of the College from 1997-2001. SIGN becomes internationally recognised for its clinical guideline development methodology and contribution to the development of evidence based medicine and has gone on to publish over 150 clinical guidelines. The first College UK Consensus Conference is held. 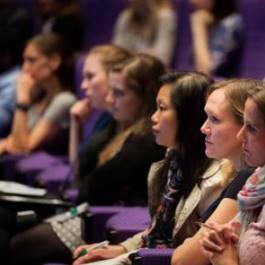 The College has held 20 UK consensus conferences to date on subjects as diverse as research misconduct, stroke treatment and service delivery, HRT, hepatitis C, AKI and patient flow in acute medicine. 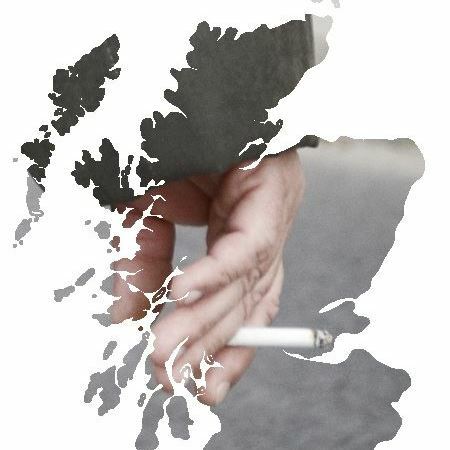 Smoke free legislation in Scotland is introduced (preventing smoking in public places). The College acted as a lead participant within the Scotland Cleaner Air Now coalition which advocated for legislation. 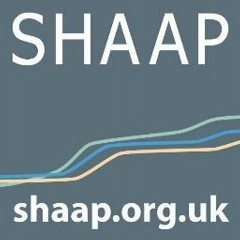 Scottish Health Action on Alcohol Problems (SHAAP) is established by the Scottish Medical Royal Colleges. The College is a lead participant in its establishment and has hosted the SHAAP secretariat since its inception. The College’s holds the 50th annual St. Andrewstide Symposium. In an accompanying poll, Fellows and Members vote antibiotics as the most important medical development in the last 50 years. The Charter for Medical Training is published by the College and our Trainees & Members’ Committee. 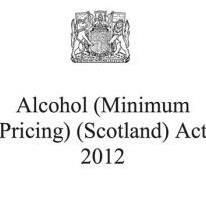 The Alcohol (Minimum Pricing) (Scotland) Act is passed, but it’s implementation was delayed due to legal challenge. The College (through SHAAP) has been a lead participant in the advocacy of minimum pricing as a policy measure to reduce alcohol-related harm. The policy was finally enacted in 2018.